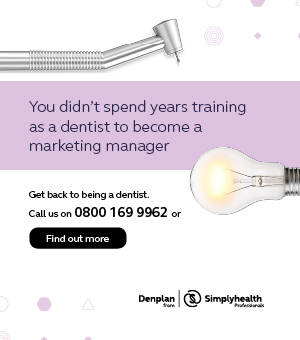 Susan Tanner and Fiona MacKillop are specialist dentists in their separate fields, the dynamic leading figures involved in the BWSID, both with a wealth of experience in implant dentistry. Planning together for each patient they form a cohesive team, Susan, prosthodontist, planning the best restorative outcome, working up the patient before surgery, and Fiona, periodontist, placing implants in ideal positions with options for grafting and regeneration as necessary. They particularly enjoy working with their referring colleagues, teaching them to take on as much of the treatment for their own patients, and mentoring until they feel comfortable. 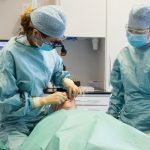 It was the frustration of finding the field of dental implant dentistry so male dominated, seeing so few female colleagues attending implant conferences and the dearth of talented women on the lecture stage as inspirational leaders,Susan and Fiona decided to step up and do something about it. 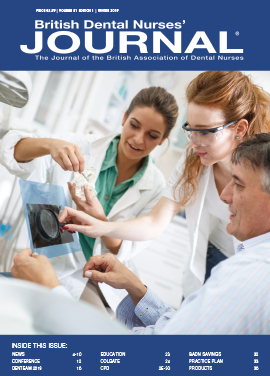 This led the two to start the group ‘The British Women’s Society of Implant Dentistry’ in 2014. Whilst they have seen and been the victim of breath-taking sexism in the industry, both admit that being a female didn’t stop them getting to where they are today. However both are keen to see a change. The BWSID is a not-for-profit association which sets out to inspire, empower and support women in the field of restorative implant dentistry. With a group of enthusiastic clinicians, the formula of meeting five to six evenings a year to learn about restoration of dental implants, non-implant system specific, has proved to be a great success. 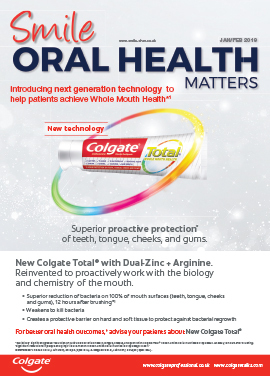 It became clear to them both, that many clinicians were much happier to take on the responsibilities of restoration only, especially if they did not do much oral surgery in their everyday practice. Understanding the basics of surgery, restorative options, materials, with the addition of hands on training, allowed many of the group to confidently undertake implant restoration in their practices. The members welcomed mentoring and support from not only the group leaders, but also other members of the group. The challenges and success of adding implant dentistry to their armamentarium has brought satisfaction and renewed excitement to many in the group, enhancing their everyday practice, irrespective of any previous implant experience. 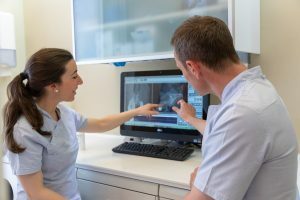 Once the clinician has become experienced with restoring implants, they can if they wish be guided to the right courses to train for dental implant placement. The BWSID has a members-only forum, discounts to conferences, courses and equipment, and access to mentoring. The group has begun to expand across the UK with requests from many clinicians wanting to join local groups. Frustratingly it has been incredibly difficult to find women clinicians experienced enough to lead a group in some parts of the UK to fill the national demand of GDPs for the BWSID. This irony of this is not lost on Susan and Fiona, but again they are hopeful that this will begin to change. 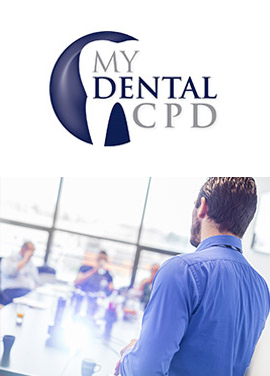 Ideally an implant surgeon and restorative dentists lead a group together, and a meeting would generally consist of a mixture of mentor lectures, guest lectures, treatment planning, hands-on, live surgery/treatment and networking. 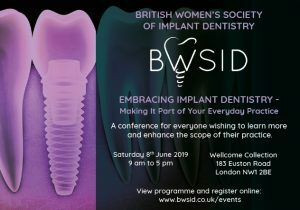 “EMBRACING IMPLANT DENTISTRY – Making It Part of Your Everyday Practice” is the first BWSID conference for everyone, men and women, wishing to learn more and enhance the scope of their practice. It is taking place on Saturday 8th June 2019 at The Wellcome Collection, Euston, London. This will be the first conference of it’s kind, catering for the dentist new to implant dentistry or who would like to improve their skills. With a great line up of experienced speakers, topics important to starting implant dentistry in your practice will be tackled. 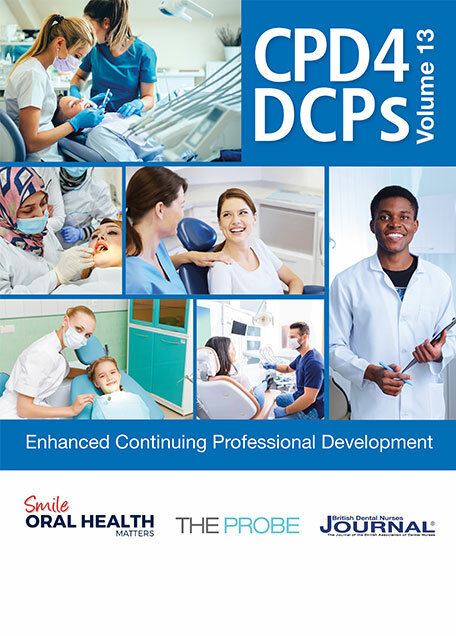 The patient journey, preparing your patient, implant surgery and restoration and supporting your patients are some of the many subjects being addressed, along with the opportunity to participate in the hands-on workshops available. Susan Tanner and Fiona Mackillop will be speaking, together with Catherine Drysdale, Jackie Brown, Linda Greenwall, Verena Toedling, Susan N’jie, Trevor Brooker, Shanon Patel, an implant patient, and two exceptionally exciting “off piste” speakers. “Early Bird” tickets are available until 8th April. You can register online here and to view a programme click here.